On Friday, December 21st, 25 students were celebrated at the University Honors Graduation Ceremony & Reception. 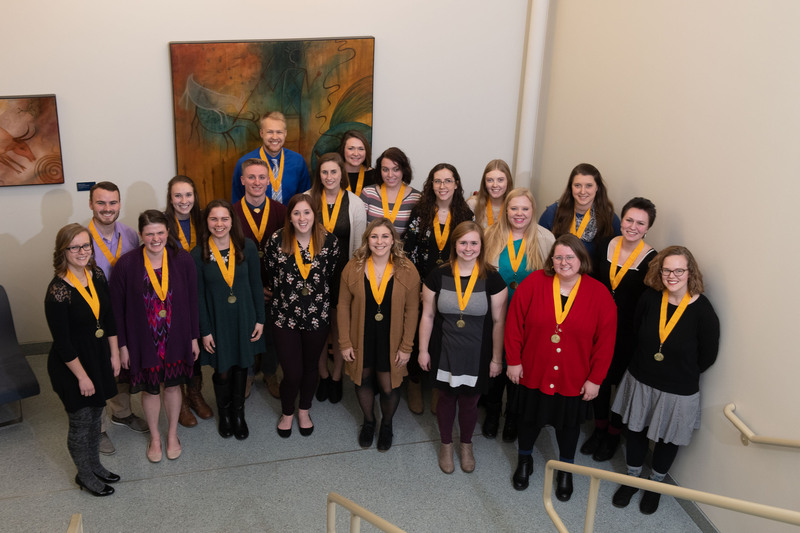 These students were presented with a certificate and their individually engraved gold medallion that signifies graduation with University Honors. 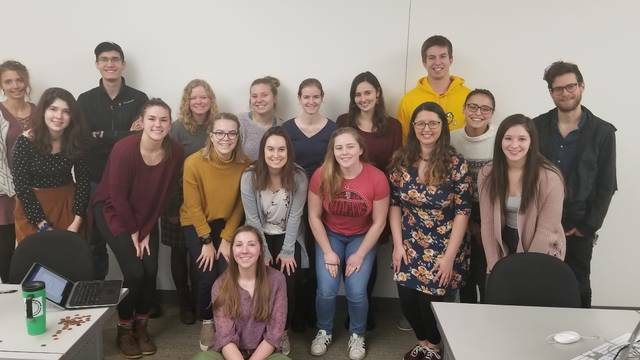 Representing all four colleges, 22 majors, and 10 minors, these students truly represent UWEC [AND] University Honors. Congrats, grads! Dr. Brady Foust, professor emeritus of geography, and two of his former students, Mike Jolitz ‘05 and Joe Litchfield ’04, have reunited more than a decade after their UW-Eau Claire classroom endeavors to form a new company, HazardHub. Mathilda Kalina, a University Honors graduate, completed a degree in Nursing with a minor in German in the fall of 2018. 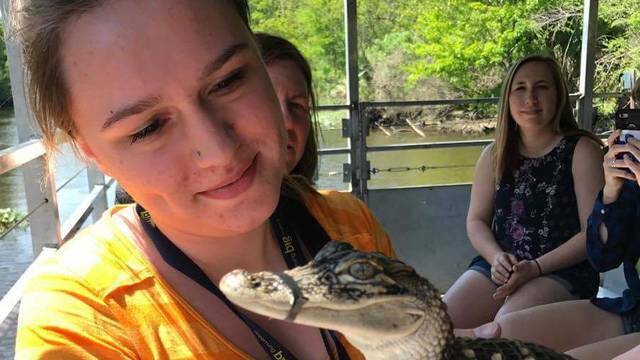 UW Eau Claire and the University Honors Program made her “feel at home, really far away from home”. 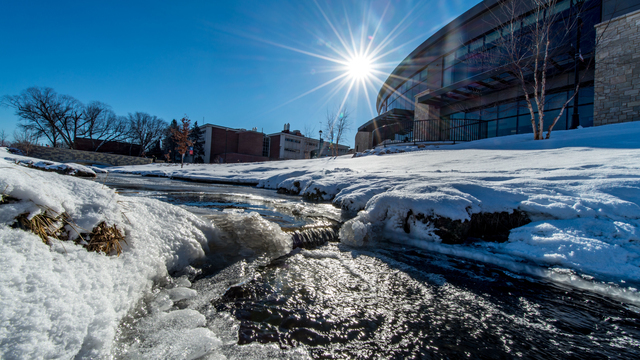 Take a peek at Honors 398: Taking the Measure of Sustainability, where current Honors students are joining a campus-wide effort to usher UW-Eau Claire to carbon neutrality by 2050.